I would never have thought of cranberries in my smoothies! Love the way she always comes up with unusual recipes! Cran-Nana Sweet-tart Smoothie « Natural Noshing. 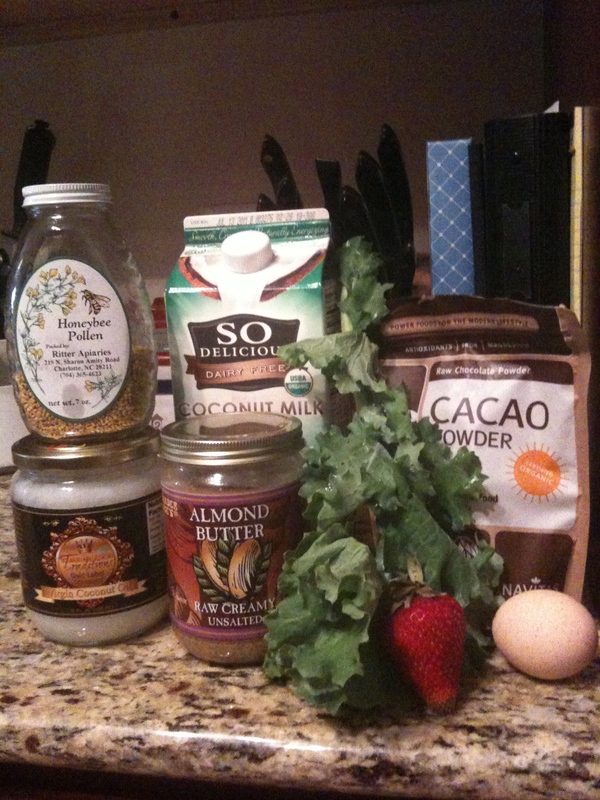 Some of the awesome stuff I put in my organic smoothies! I also have a link for you at one of my favorite blogs, Crunchy Betty. She is so funny and entertaining (when not covering a serious topic), and she has a great post about green smoothies there. Her post includes how green smoothies benefit your skin! I would definitely agree with that! I’m sure I will link to her site often, since she has tons of great recipes for homemade beauty and cleaning products. Even “green smoothies” aren’t always green, but this one sure is! What you throw in the blender can make a big difference in what color results. For example, blueberries always change the color. This is the main ingredient of a green smoothie, greens! Either “real” or powder form. 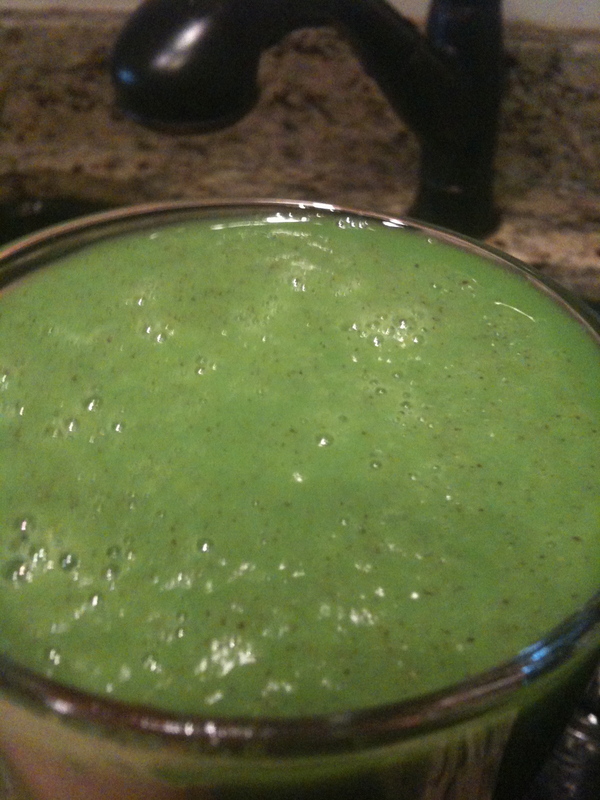 This is the main source of the healthy goodness in a green smoothie. 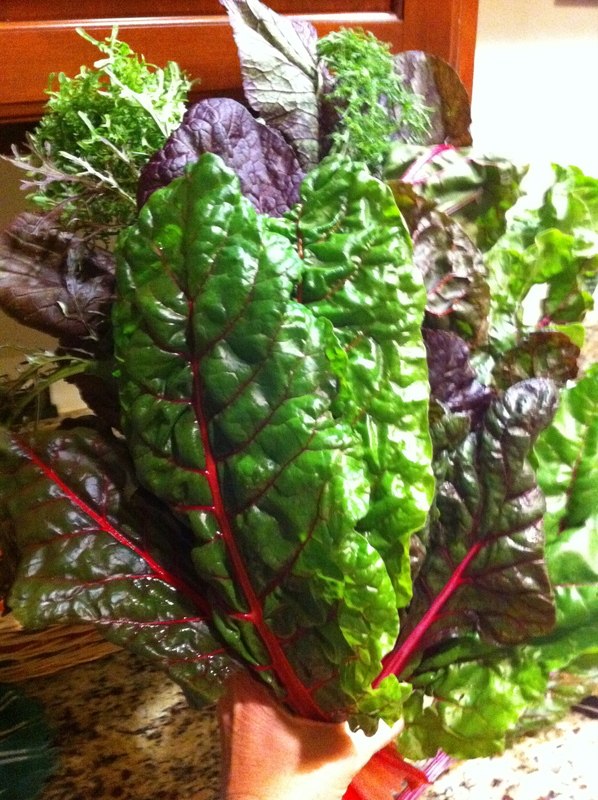 This particular green is Swiss Chard and it has a very mild flavor (easily hidden). Spinach seems to be the #1 easiest one to hide. If you’re a newbie, start with spinach. I will post smoothie “recipes” (it seems strange to even call them that because it’s just a bunch of stuff in a blender:) under my Recipes Page. For now, the basics for what you need are listed in the “comments” (see comment balloon at top of post, from ME to ANGELA). Let me know if you have questions on this before I can get those recipes posted where they belong.